Henderson was greatly esteemed in the architectural profession as his membership of professional bodies here and in the UK shows. Henderson was articled to the firm of Marshall & Tweedy in Newcastle-upon-Tyne in 1900 (aged 15). He completed his articles in 1905 (aged 20) and remained with the practice a further 5 years (til aged 25). After moving to Australia, he practised with J Reid in Sydney (1910-1912) before joining the Commonwealth. Henderson was elected an associate of the Institute of Architects of New South Wales at its annual meeting held at the Royal Society Hall in March 1920. The meeting was notable for a dispute over the validity of the election of the President of the Institute (Mr Arthur Pritchard), which had led the Secretary in protest. The meeting agreed to submit the matter to the Institute’s legal adviser. 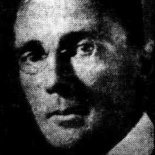 It appears that Henderson became a fellow of the Institute by 1933. In “Architecture”, 1 November 1939, the Royal Australian Institute of Architects New South Wales Chapter reported that its Council regretted the passing of Henderson. On 20 June 1939, the Council resolved to write a letter of condolence to Mrs Henderson. In the minutes of the meeting of 31 August 1939, the Council noted that Mrs Henderson had written in thanks for the letter. He was registered with the NSW Board of Architects on 26 June 1923. His NSW registration address for 1924-1930 was the Departments of Works and Railways, Customs House, Sydney and for 1931-1939 was the Federal Capital Commission, Canberra, ACT. Henderson was admitted as a fellow of the Royal Institute of British Architects in 1930 (Member no. 2802). His residence is noted as Hotel Kurrajong Canberra. Evidently having just located to the capital, he had not yet been provided the house in Torrens Street in which he lived until his death. This may have awaited his marriage to Muriel in 1933. The last example is hard to decipher. “in consideration of my having been so elected (I) promise and agree that I will not accept any trade or other discounts, or give or accept illicit or surreptitious commissions or emoluments in connection with any works in execution of which I may be engaged to superintend, or in which I may be employed”. Evidently he took this declaration very seriously. What is most interesting to note is the stature of those nominating Henderson for membership. “As the technical head of the Department, I consider the numerous buildings designed by Mr Henderson express scholarship and individuality and embrace modern methods of construction”. Murdoch is perhaps best known as the architect of Old Parliament House in Canberra, but his career and influence is much wider. Of most relevance is his contribution to what might be called the “Commonwealth Departmental style”, a stripped down modern renaissance style upon which Henderson built during his tenure. Dr David Rowe, a Melbourne heritage architect, wrote a meticulously researched and very thoughtful doctoral thesis on Murdoch. You can read the introduction here. We will return more to the architectural influence of Murdoch on Henderson later. His fellowship was proposed by two other eminent Australian architects: Leslie Wilkinson and Bertrand Waterhouse. Wilkinson was hugely influential on a generation of Australian architects. Not a modernist, he emphasised Mediterranean and colonial styles. At the time of nominating Henderson, Wilkinson was a councillor of the Institute of Architecture of NSW. He was the inaugural President of the state chapter of the Royal Australian Institute of Architects in 1934. Read more on Wilkinson here. Bertrand Waterhouse (1876-1965), Henderson’s other nominator, was a British born but Australian educated architect who went on to have a successful practice and be highly influential in the profession. Waterhouse was a collaborator with Leslie Wilkinson in some Sydney University buildings. His work in domestic architecture had a notable Mediterranean influence, a notable example being May Gibbs’ house, Nutcote, at Neutral Bay (which can still be visited today). Like Wilkinson, Waterhouse was active in the Institute of Architects NSW holding the office of vice-President on seven occasions. He was a councillor of the Royal Institute of Australian Architects (1932-1934) and its NSW Chapter (1934-48). He was also President of the NSW Board of Architects (1929-49). He became a fellow of RIBA only shortly before Henderson in 1928. Waterhouse was also an artist and deeply interested in the arts. He was President of the Art Gallery of NSW from 1939-58. You can read more about Waterhouse here. It is pleasing to know that Henderson received professional endorsement from three such eminent architects. Note: my thanks to the Australian Institute of Architects (NSW) and the Royal Institute of British Architects for documents used in this post. This entry was posted on January 16, 2016 by midcenturymatters in Uncategorized.